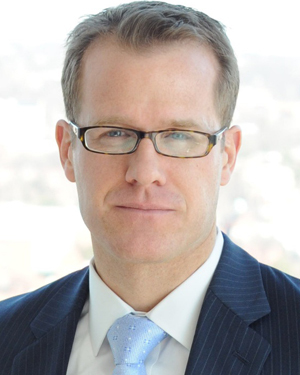 Matt Dixon is Executive Director of the Sales & Service Practice of CEB in Arlington, VA. In this capacity, he has management responsibility for the Sales Executive Council, Sales Leadership Roundtable and Customer Contact Council, which together serve more than 1,000 sales and customer service organizations globally. As Executive Director, Matt has overseen dozens of original quantitative and qualitative research studies of customer service and sales and has presented to hundreds of senior executives and management teams around the world, including those of many Fortune 500 companies, on issues ranging from customer service strategy to sales effectiveness. Matt is a prolific business writer. His most recent book is the Wall Street Journal and Amazon bestseller The Challenger Sale: Taking Control of the Customer Conversation (Penguin, November 2011). He’s been published twice in Harvard Business Review with his article “The End of Solution Sales” in the summer 2012 issue and “Stop Trying to Delight Your Customers” in the summer 2010 issue. He is also a frequent contributor on sales and customer service topics on a number of blogs, including that of the Harvard Business Review. His next book on customer service, The Delight Deception, will be published by Penguin and released in the fall of 2013.